In "moving to become a discrete graphics company," Intel has released early access software for its graphics chips and eventually dedicated GPUs. In a behind-closed-doors meeting with Intel earlier this week, the company stressed to me that it's "moving to become a discrete graphics company" on top of continuing to make the CPUs it's already known for. That's not entirely surprising given the Santa Clara chipmaker's failure to keep a secret over the past few months, but what I didn't expect was an overhauled Graphics Command Center promptly sent to my inbox later that day, a year ahead of its first graphics card's release. The software, which you can download and install for yourself if you're so inclined, from the ever popular Windows Store. It's in early access, so don't expect it to be without flaws. When I created my own custom video settings, for instance, with all the color and contrast sliders cranked all the way up, my changes were not applied dynamically, nor is there an obvious "Apply All" button. Seemingly, my settings were "Active," yet everything on my screen, even the provided demo videos looked exactly the same. Of course, beyond color correction, sharpness and other options alternatively adjustable on your monitor itself, the refreshed Graphics Command Center software packs some features ostensibly tailored to systems housing discrete GPUs. Though it is pretty rudimentary in its current state, there are traces of functionality that could later be used for Intel's upcoming graphics card project. For example, on the home page, I was greeted by a game library scanner and optimization utility similar to Nvidia GeForce Experience's Optimal Playable Settings and AMD Radeon Software's Settings Advisor. Once it scans your drives for games, and/or you add a few titles manually, you can either choose to optimize the games yourself using a handful of "Advanced Settings" and a segmented "GPU Usage" health bar or – if the software supports it – you can let Intel decide what's best for your hardware. Unlike solutions from Nvidia and AMD, however, the custom optimizations are limited. You can toggle anti-aliasing on or off, select an anti-aliasing type (be it CMAA or MSAA and to what degree) and you can tune the level of antisotropic filtering as well as ticking on and off vsync. These are all generic settings that appear on every game, not game-specific settings that you can adjust. Though as I understand it, the software will eventually adjust actual game settings. Again, it's early access, a proof of concept. Other than that, a System tab shows hardware and driver information, along with a few display-related hotkeys. A Support tab lets you download the latest Intel graphics driver and provides another view of system information and driver details, and Preferences lets you tweak the background for the Command Center (future skins may be coming) and disable promotions and notifications. I'm toying around with this software now as opposed to next year, when Intel plans on debuting its discrete graphics card, because Intel understands that there's a lot of work to be done. What settings for Fortnite should you use on a current Intel GPU? That's easy: 720p, set everything to minimum. But when a substantially faster GPU becomes available, Intel needs to have systems in place to provide more useful recommendations. The early access version is being used as a test run to gather community feedback for a hard launch later down the road, presumably some time in 2020. It's one aspect of "the Odyssey," Intel's initiative to cultivate a sense of community around its burgeoning graphics technology. Graphics Command Center is compatible exclusively with Intel Gen 6 processors and above. We don't know much about Intel's proposed discrete graphics card, apart from our assumption that it will work with this new software. 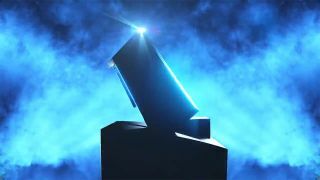 While the company did show off a renovated design at its GDC 2019 keynote, whipped up by its designer and artist Christiano Siquera, technical specifications remain in the dark. As our friends at TechRadar pointed out, it appears to leverage a blower-style, single fan cooler and ultimately resembles the Intel Optane SSD 905P. Otherwise, stay tuned, as the wheels are in motion for a third player to disrupt the increasingly complacent discrete graphics card duopoly.